The stamp set is from Paper Smooches and the letter stickers from Basic Gray. 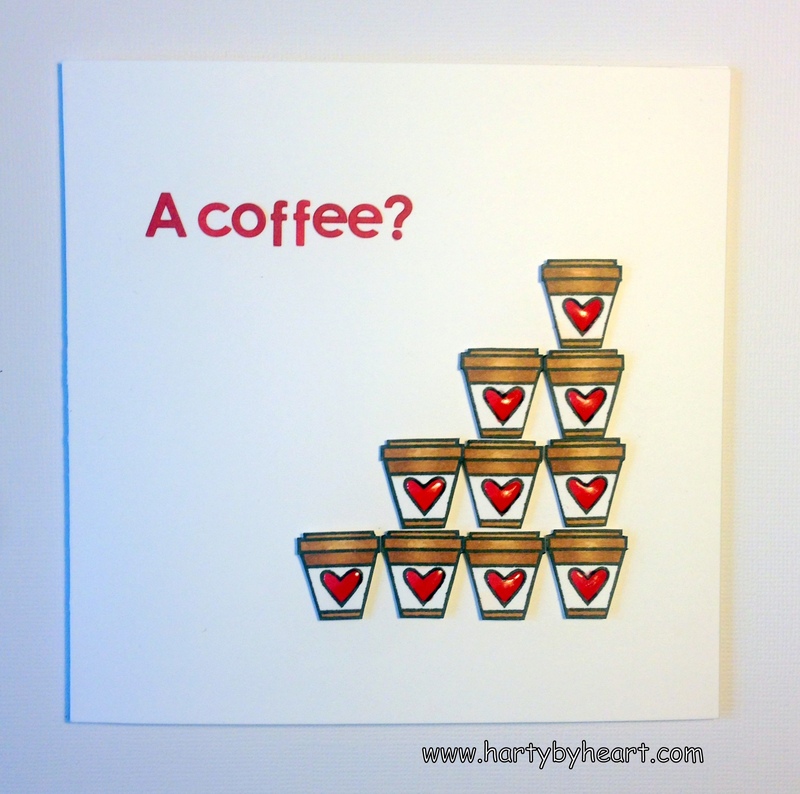 I have coloured with copics and added some glossy accent to the hearts on the coffee cups. This entry was posted in Just Because on August 25, 2014 by Joanna Harty. Such a perfect CAS card 🙂 love the design and shiny little hearts . Thank you for sharing with ATSM! So cute and fun! Love the layout and shiny hearts. Thank you for joining us at ATSM. Oh my, a pyramid of cups of coffee! 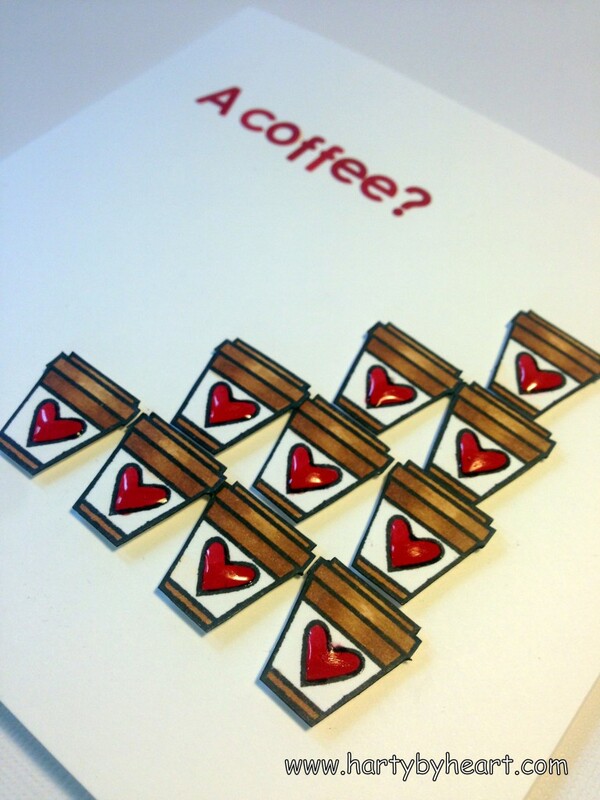 Yes please…I’ll take ’em all! 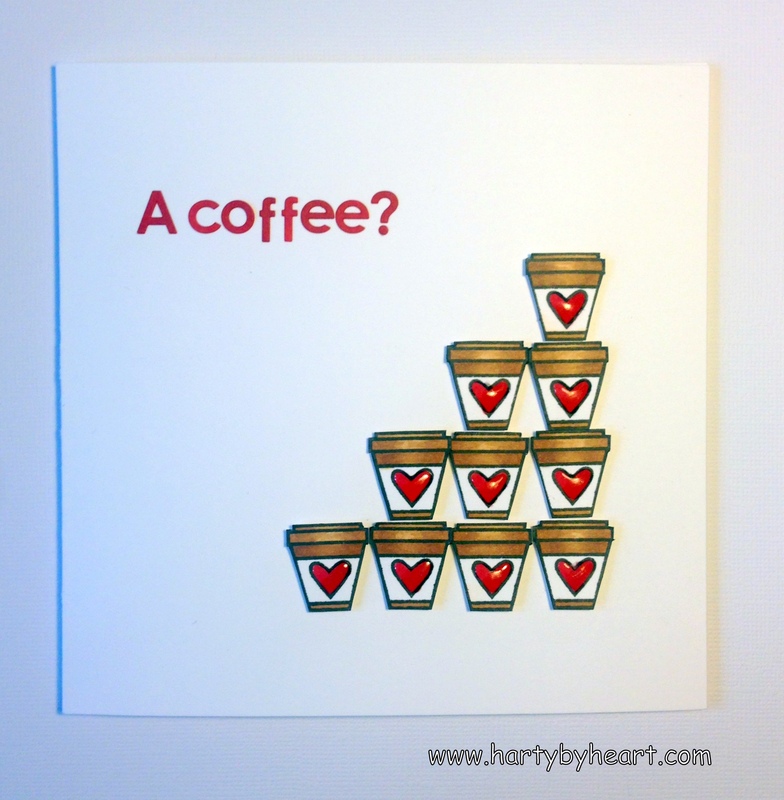 What a delightful, smile-making card; clean, crisp and fun! The glimmering hearts are the perfect special touch! Thank you for sharing at ATSM!